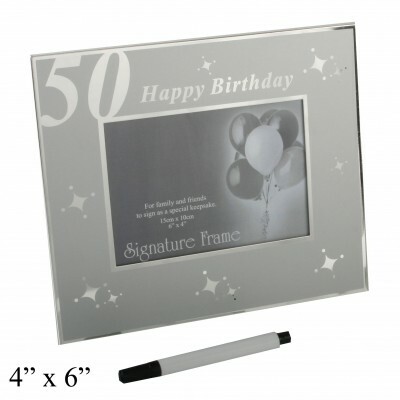 50th Birthday two tone celebration signature photo frame for a 6" x 4" photo with pen. Overall size 8" x 7". Designed for family and friends to sign as a special keepsake. All dimensions are approximate for guidance only.